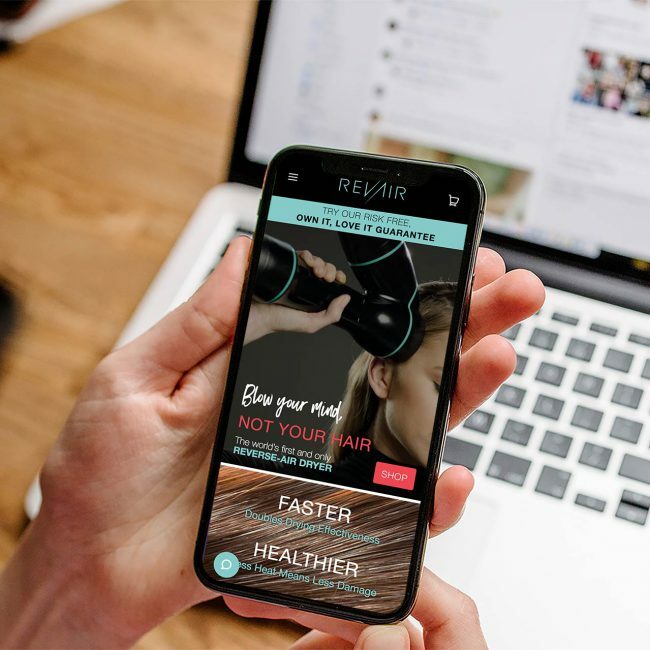 A startup that is the brainchild of a seasoned inventor and a skilled team of beauty industry experts, RevAir is a high-tech beauty company that looks beyond convention to create exceptionally effective personal care solutions. Their Shopify ecommerce website is their primary sales channel and interface with potential and current customers. 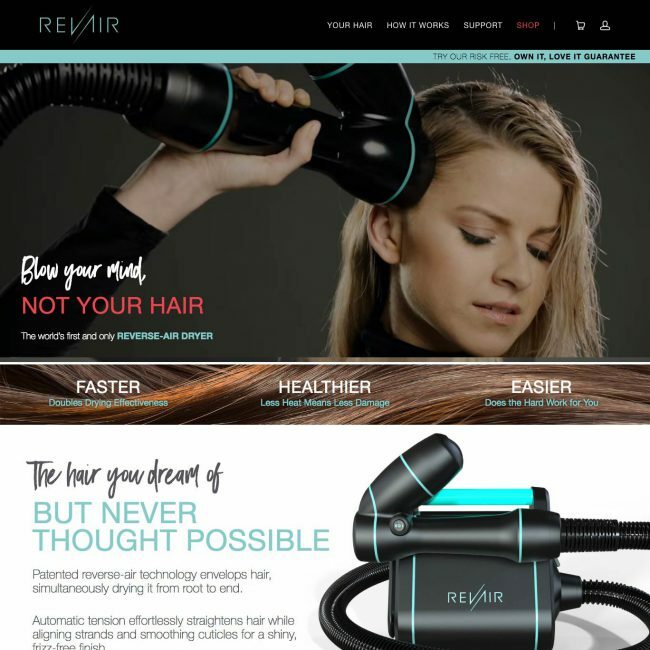 RevAir’s unique and creative Shopify ecommerce site is full of beautiful design elements and custom functionality details. Check out the live site to experience the home page hero background video, popup video lightboxes, interactive sliders, draggable before/after comparison images, in-depth product features, and much more. 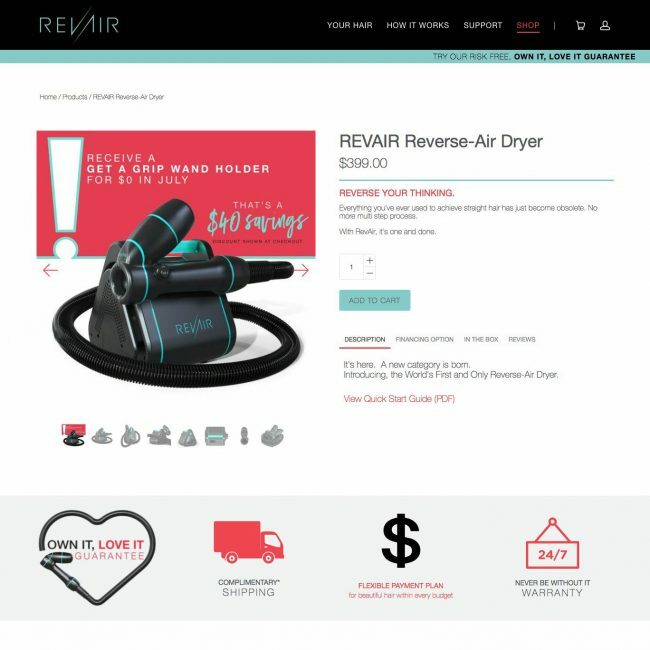 RevAir had a fast timeline, custom designs with PSD mockups/wireframes for nearly every page, and a number of needed functionalities. They needed a website as unique and cutting-edge as their product. We were able to create the entire site in Shopify for a seamless integration between their home page, informational pages, and online store. Thousands of lines of custom code later, they have a website that makes them proud and acts as the centerpiece for selling their products.